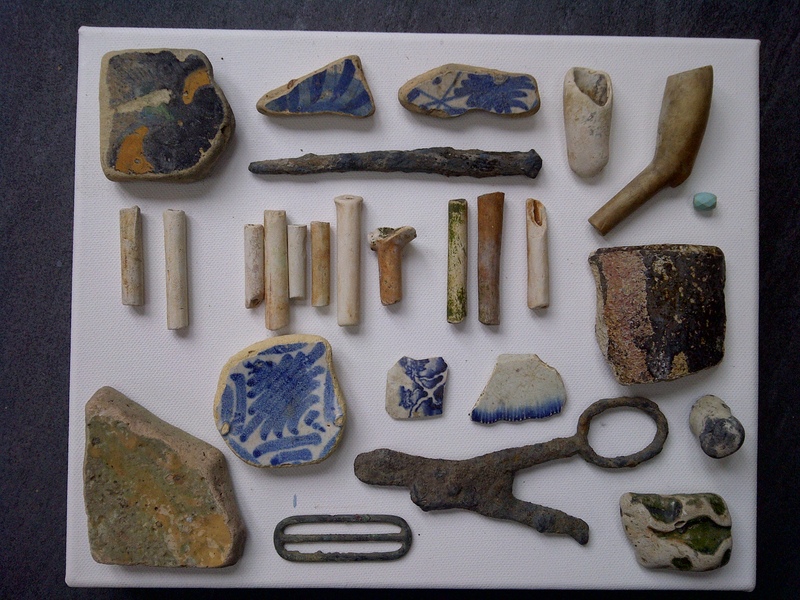 Whilst the official coarse fishing season is still a few days away I use my time down on the river to scour the shore in search of artifacts, pottery finds and other discarded items to create a visual representation of our past. The Thames is full of broken smoking pipes, glass bottles, broken china and pottery which when assembled makes interesting viewing. Over the next few weeks I will start to put several canvases together with some recent finds. I’m clearly not alone in this quest as several other artists are making sculpture, jewelry and furniture out of river finds. I’ll aim to add links to their work over the next few days. Having spent the evening in Mayfair at an event the discussions centred around the preparation for the Diamond Jubilee Weekend and the Olympics. The focus of the discussion was about how prepared were the Met Police on guarding the River Thames after the Oxford v Cambridge Boat Race incident of earlier this year. Having access to the river and I hasten to add the Queens Barge the Policing I feel has been petty lapse. Whilst the Royal Barge is moored near Richmond Bridge nothing stops anyone planting something beneath it from the river side. In fact with easy access to the river little stops anyone with the inclination to plant something sub surface and detonate it, god forbid. All I have seen is the Met and City Police cover the water from the surface on large ribs and at a fairly progressive pace. As the press are saying this is a real test for the Police but I have seen real flaws in their preparation. All I can do is hope the weekend events go without a hitch. See http://www.thamesdiamondjubileepageant.org/EventInformation.aspx for information on the event…remember to wave your vintage Union flag, plenty to be found on eBay for sale. 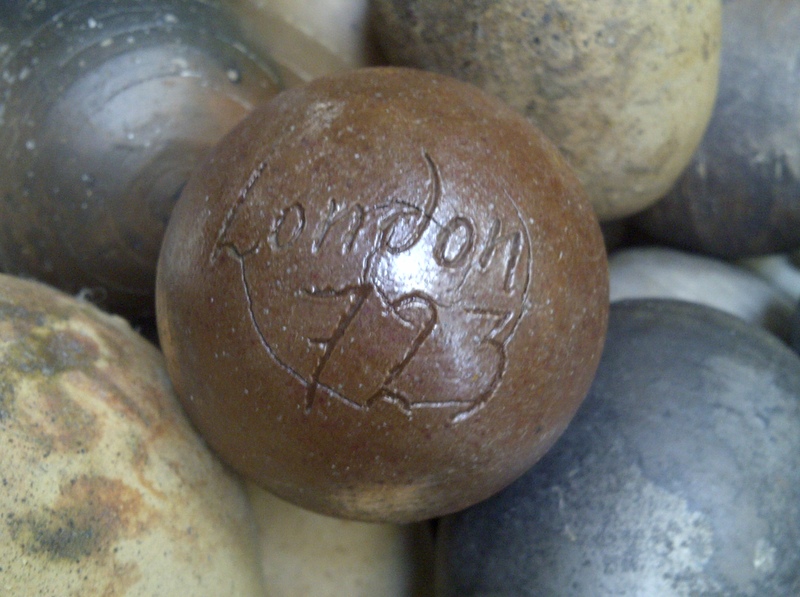 On the story of the Thames ceramic eggs more have been found between Barnes and Hammersmith with more reported by Dartford. 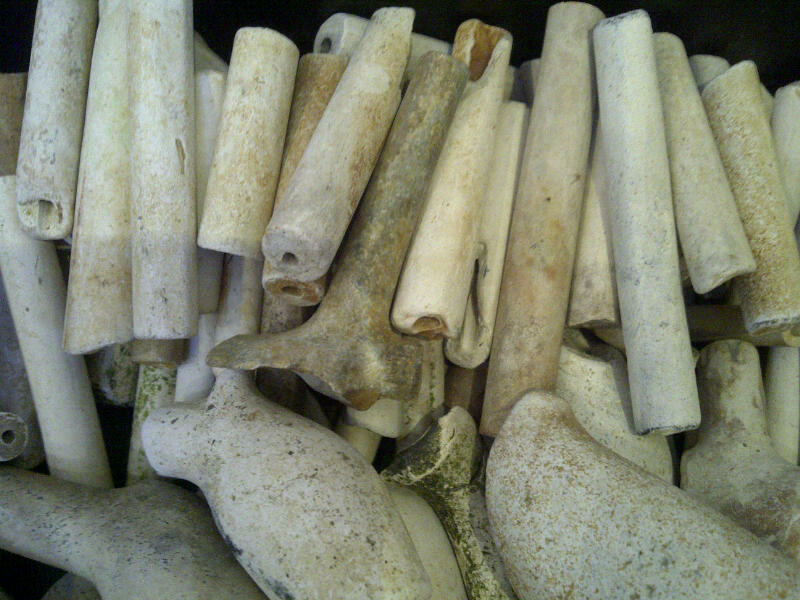 With a reasonably free day tomorrow I may head off to the North Kent coast in search of more ceramic eggs. With several weeks of rain summer has finally arrived and London now basks in sunshine and warm temperatures. A lunchtime walk along the river in Barnes was not only rewarded with radiant sun on my face but my eyes spotted another ceramic egg on the shore just beneath the wall. It was a deep bronze glaze with speckles and caught the sun so showed up like a diamond on the matt grey shore, its number 2625, London…clearly a straggler of the pack. I had a meeting to attend in the Red Lion known to some as the ‘Red Room’ of Crown Passage in St James’s where the conversation was about whisky and fishing whilst drinking pints of Adnams. My dear friend Doug and I discussed recent fishing stories and planned a trip over the coming weekend to a lake in Kent to fish for carp. 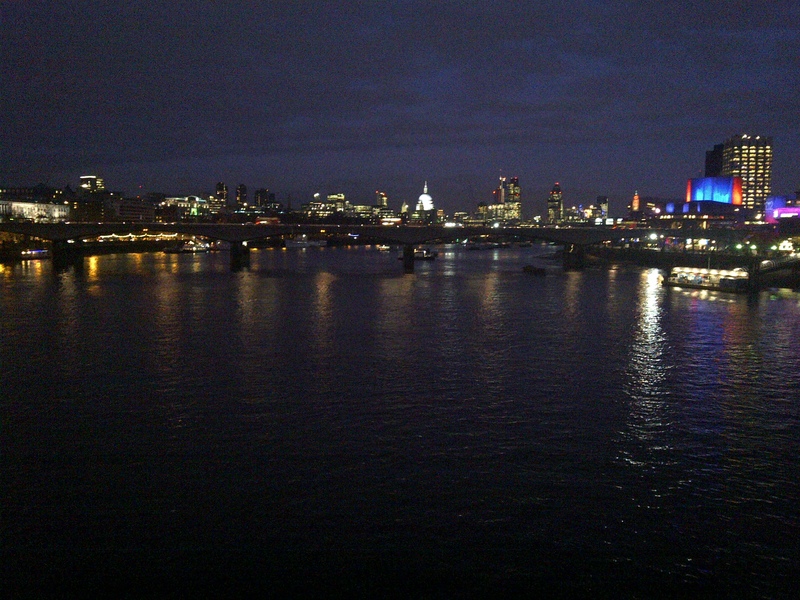 Over the last few days I have been busy going back and forth between Barnes Bridge and Waterloo Station. Having had several meeting to discuss possible work projects so I took myself of to the shore by the South Bank complex just beneath the Royal Festival Hall and walked along the sandy foreshore towards the Tate Modern on the way home. 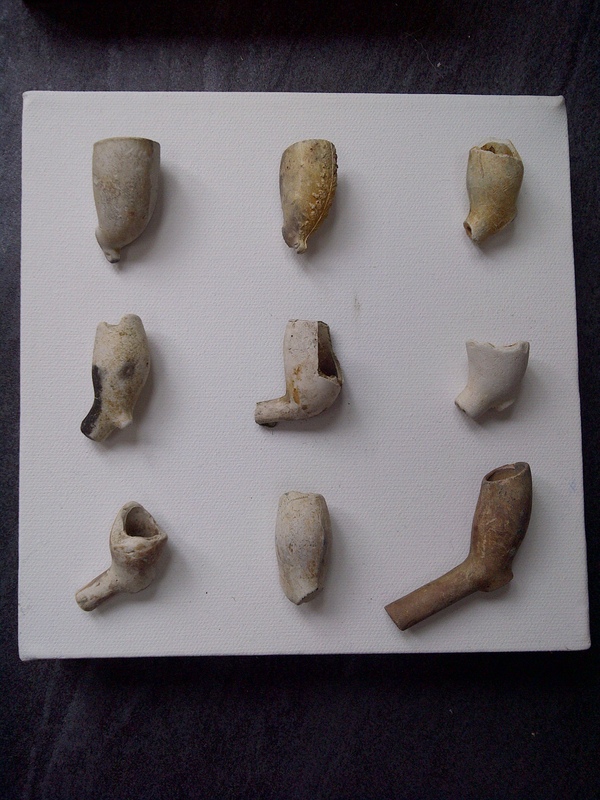 I found lots of old clay pipes, pottery, coloured glass and old bones. 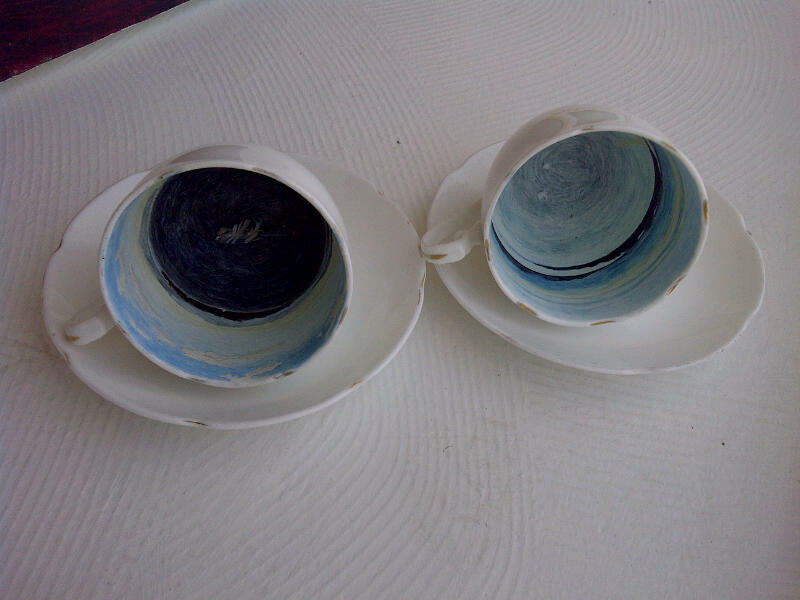 There were many fragments of tea cups which then reminded me of the works of art I had seen earlier in the week at the Riverside Gallery, where I noted the works of a new artist with three decorated cups and one with a small sail boat in the bottom. I found the title of this work amusing but very apt. As they say you can’t choose your family but you can your friends this couldn’t be more salient to me as what started out as a storm in a tea cup has turned out to become a full hurricane that just wont move on. Anyway to put the worries aside in life there is no better remedy than a day fishing or a an hour or so on the river bank in search of vintage and ancient finds. Once home I met up with David a fellow mudlark who was not only fascinated by what I had found but proceeded to tell me about the refurbishment of a Dutch Barge where the fitters were skipping most of the old wood hatch covers, tables came to mind…. so we decided after some deliberation to head off and see if the fitters had skipped the hatches or taken them to the dump. The pleasant surprise was as it was such a warm day the hatches had been piled up and left on the quayside. We asked as to the their fait and was told that should we want them if we were prepared to cart them off there and then they were ours. So I now have a newly decked garden in Dutch Barge hatch covers. What fascinates me most is that they are so beautifully made, between each plank is a strip of heavy duty canvas braid that is covered in tar along with the planks to be waterproof. What I will do is turn these hatches into table tops, well one of them. 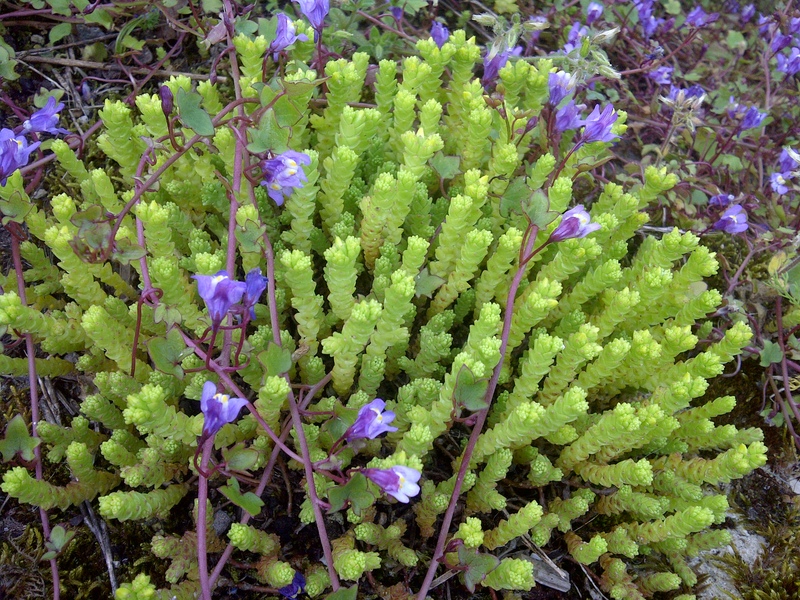 As the sun shone new flowers appeared on the wall of the Thames bringing colour to the usually grey wall. 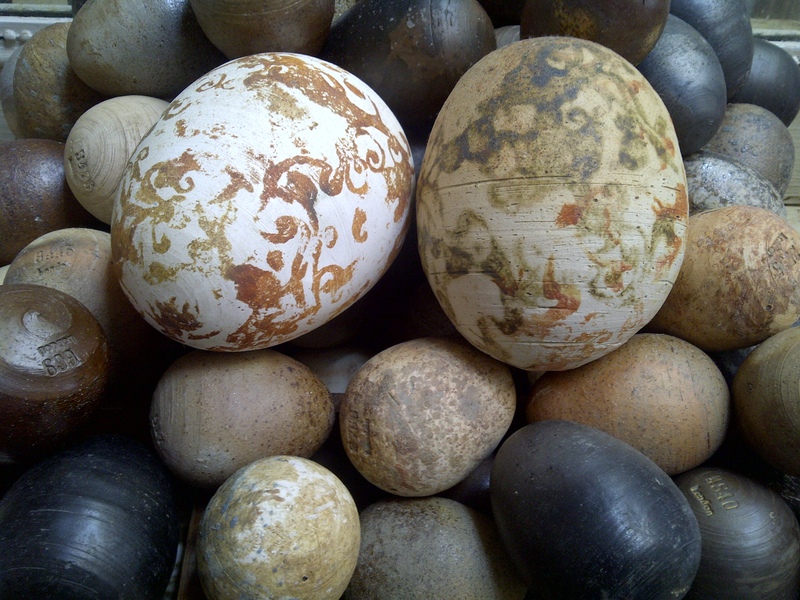 The mystery starts to unfold about the ceramic eggs but who knew of the 10,000 stones placed on Brighton beach. With another early start and a stroll towards Chiswick Pier I thought I’d get out before the other ceramic egg hunters got to the river. 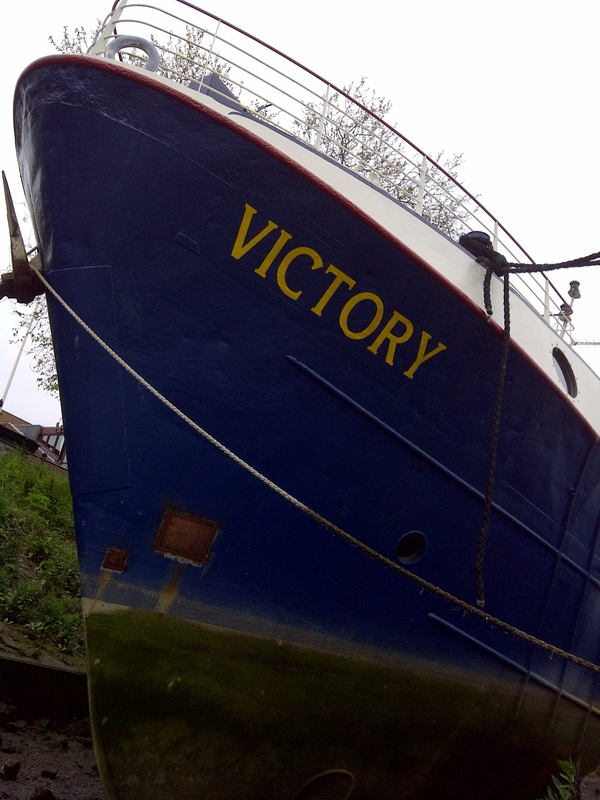 By a splendid boat called Victory I found five ceramic eggs in the debris caught between the boats and one egg found today was hand signed London 723. 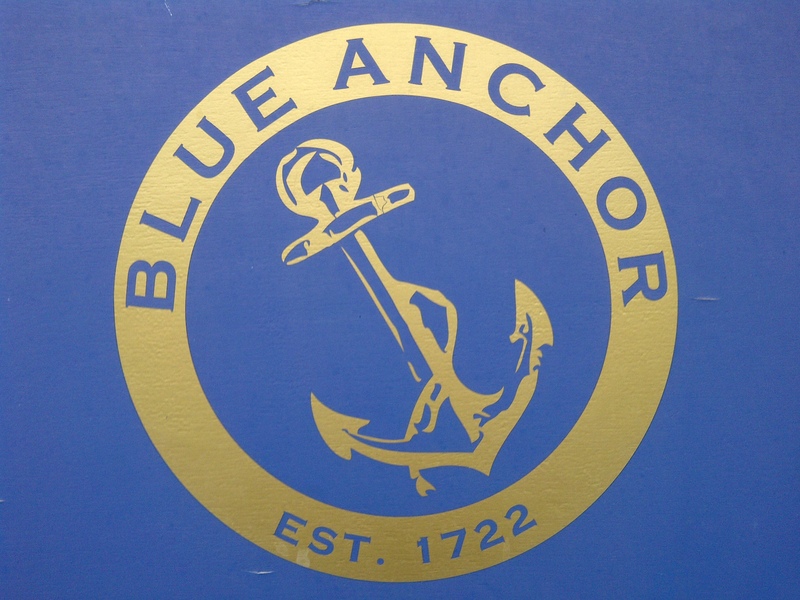 I walked down as far as the Blue Anchor then headed back home. The Blue Anchor is a fine ale house so if you find yourself near by at opening time it’s work a visit. The air temperature was warmer and I felt like summer could be on the way as I saw house martins collect mud from the riverbank. I couldn’t help thinking about the song by The Floaters called Float On, it was always one of those songs that reminded me of hazy summer days and balmy evenings. Yesterday I had the chance to visit Persepolis in Peckam, since buying a copy of Sally Butchers book on Persian cooking I had wanted to visit her shop. It wasn’t quite what I imagined but the smell reminded me of my childhood and it was great to see bitter oranges and boxes of Gaz. http://www.foratasteofpersia.co.uk . After a few purchases of herbs and spices we headed home for brief spot of lunch. 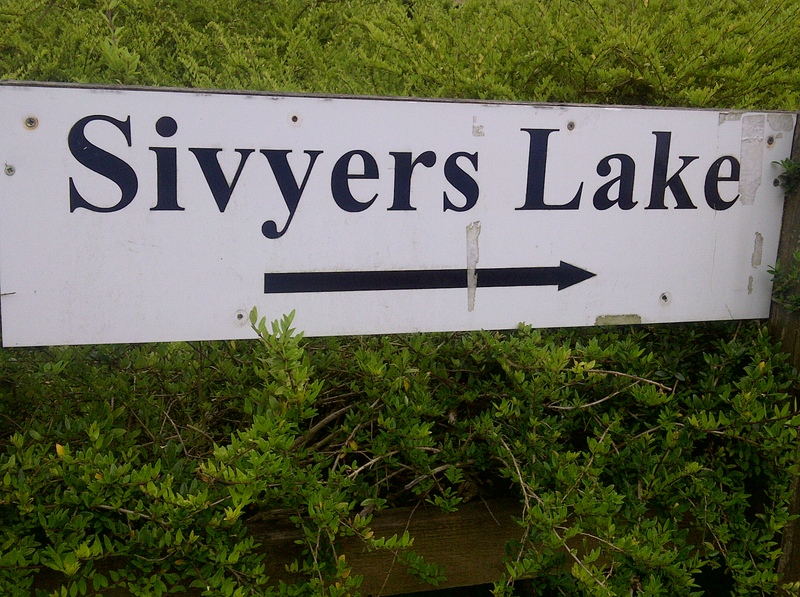 Sunday afternoon was fair so I took my younger son for a spot of fishing at the Feltham & Twickenham Piscatorial Society, Sivyers Lake. Having spent a few moments setting him up he proceeded to put us all to shame by catching a small roach on his first cast. After about a half an hour whilst looking at my float on the water it momentarily dipped then headed off at speed with a fine carp attached to the line it took some getting in especially when my Abu Cardinal 54 decided to give up and the central spindle had become detached so getting the fish in then became a very hard task. 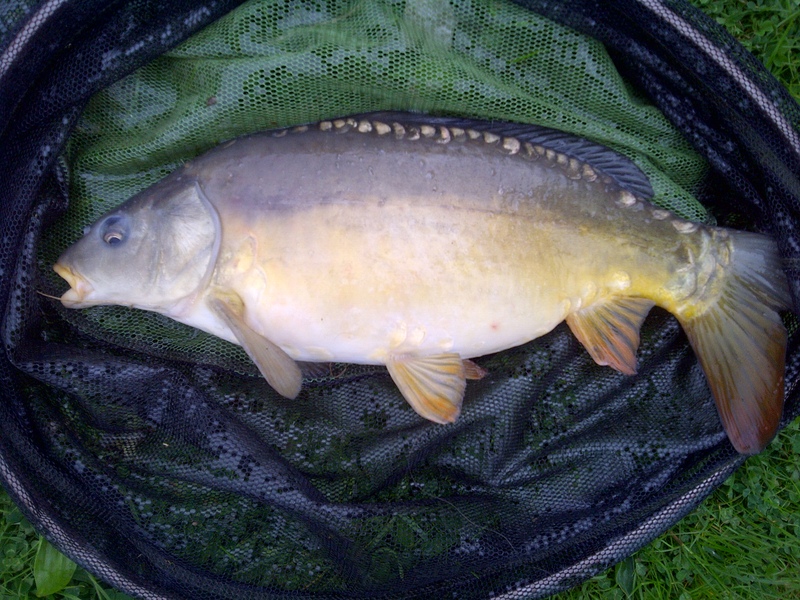 As the grey clouds rolled in and the wind got up little else happened except for a few takes by hungry carp. As we packed up and headed out of the gates we saw a fox with its jaws firmly clasped around a young chick, for sure he had his supper sorted out. We headed home to cook ours, saffron chicken with oranges, barberries and pistachio nuts and rice. Saturday started with an early morning call at 6am from a self-confessed obsessive egg collector who has got the bug. Having had little sleep after having been to a relatives drinks party the night before in their fabulous arts & crafts house on the edge of Richmond Park I could have done with an extra hour in bed especially as I was going to help out at the local farmers market for the day cooking bacon butties, burgers, eggs and sausages. Yes that word eggs came up in conversation with David but the eggs he was talking about were of the ceramic kind. So I pulled on the jeans and polo shirt, grabbed the Barbour and old Hunters and headed out the door in search of more ceramic eggs on the shore near Hammersmith Bridge. Fortunately we found some and soon enough David was in the thick of it…mud that is retrieving the few eggs we found. I also found a couple under a pontoon used by one of the rowing clubs. Most of the ceramic eggs we picked up were about 7cm in size and of various colours. After a busy morning we cleaned up at 2.30pm and I headed home. Earlier the postman had been and delivered some salmon flies and a small Wheatley fly box I had purchased for a friend. I decided to check my emails and noted that Alex had dropped me a note to tell me that he too had found several eggs on the Thames near Chiswick…he’s now turned into an egg hunter. Interesting to note that my other half who I have to say insn’t interested in fishing was debating on going to see Salmon Fishing In The Yemen….there is hope yet! They just keep on showing up…. Just after 6am I set off on a run from Barnes to Hammersmith Bridge over the river and back up via Chiswick Mall back to Barnes, there were few people out on this sunny morning. The rowers pulled their strokes, herons stood on guard and the traffic noise started to build as rush hour got under way. 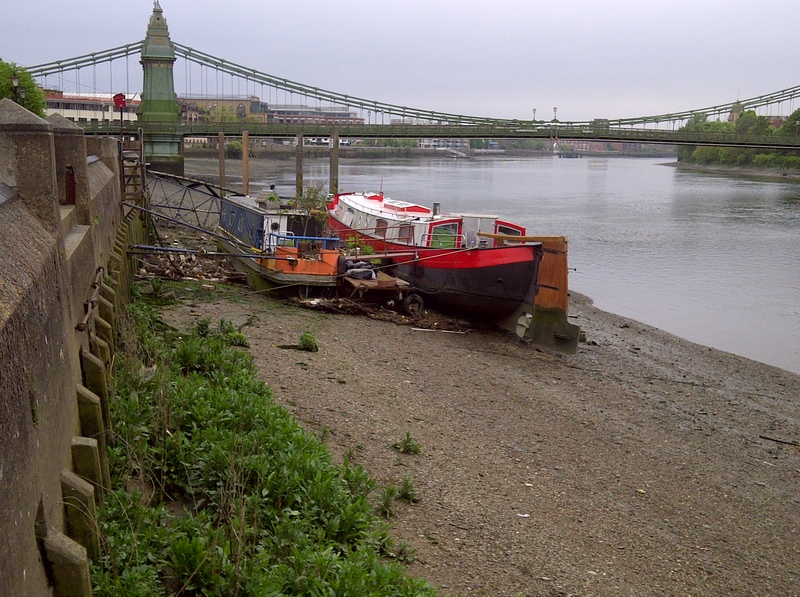 As I crossed over Hammersmith Bridge I took the tow path in a westerly direction past the Blue Anchor and Rutland. 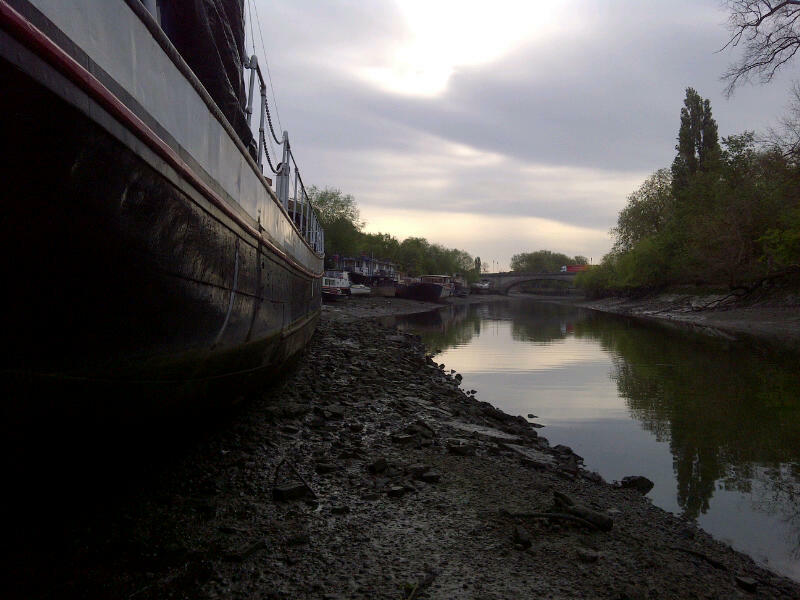 For a moment I stopped to look over the wall at the barges moored near by. 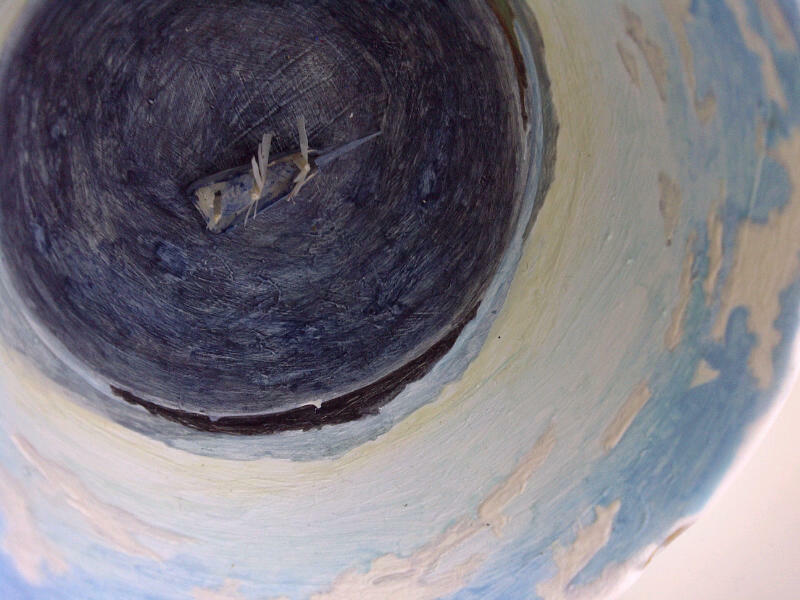 What I did see was a ceramic egg in plain ivory glaze No. 3476. Tucked behind a couple of barges were more but well out of reach and in thick mud. I wasn’t dressed for egg hunting, running shoes in 2ft of mud wasn’t a good idea. These eggs just keep showing up. Elizabeth sent me a note today to say she found one beneath the Millenium Bridge on the North shore. Without question there are plenty more to be found and if you are inclined head down to the Thames and see if you can find one, but remember to check the tides and have an access point located. There are reports that there are eggs in good numbers near Gravesend and I’m sure some stuck on the banks of the marshes. On the note of fishing I received today a fine Wheatley Fly Box full of Salmon flies and a Lymington & District SFC enamel badge to use as a reference to a new logo I’m designing. I’ll update the blog during the day but happy hunting if you head out. It was light before 5am and as I looked at my watch I had another few minutes in bed before I threw on my old clothes, Barbour and packed my waders. For I was off to Brentford Docks to see if the eggs I saw yesterday could be retrieved. My accomplice for the morning was David a fellow artist from across the road who has also found the saga of the eggs compelling. 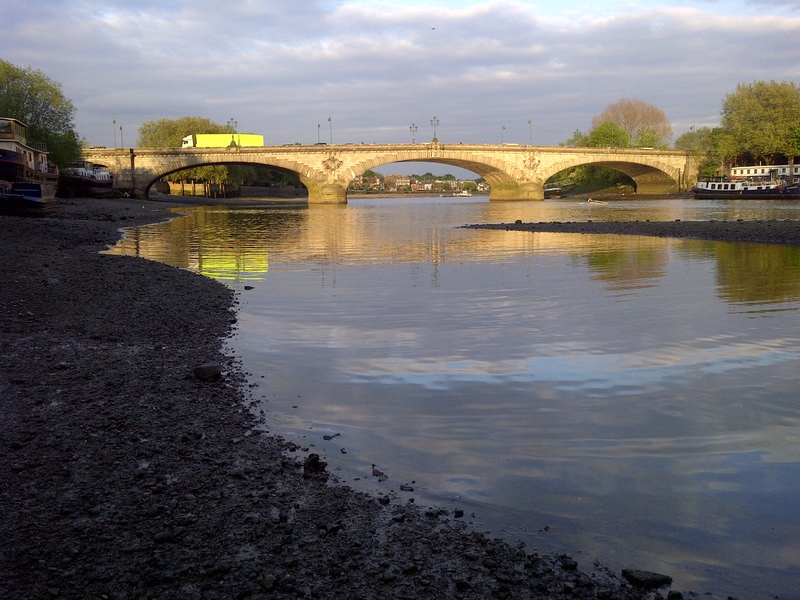 We arrived at Kew Bridge just after 6am and walked along the shore but it soon became evident our trip was going to be eventful, first we had to work out how to get to where I saw the eggs and secondly how to get across the mud flats. On sound advice we took to the tow path and found another access point. 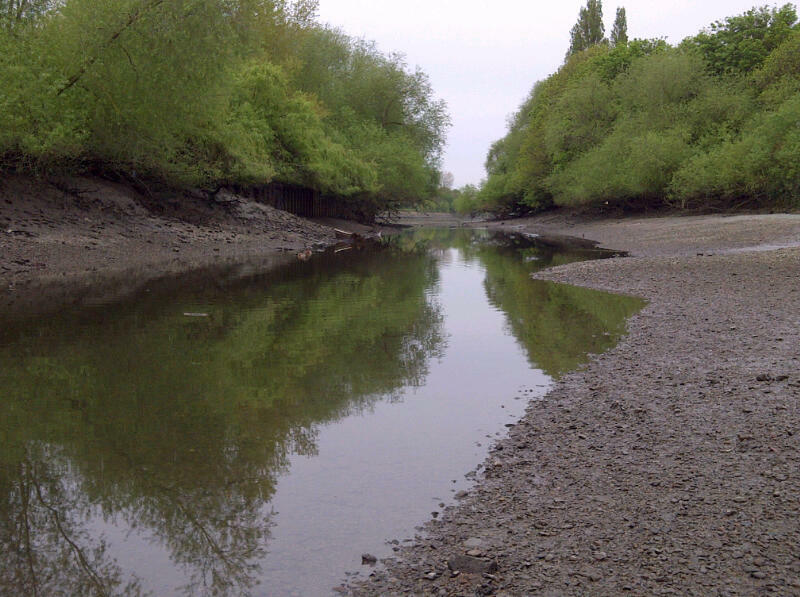 It is fascinating to be able to gain access to some of these hidden backwaters of the Thames. What was even more fascinating was the array of boats used as dwellings, trawlers, tugs, fireboats, barges, sailing boats and also the many decaying hulls of boats that have now become part of the river bed structure. 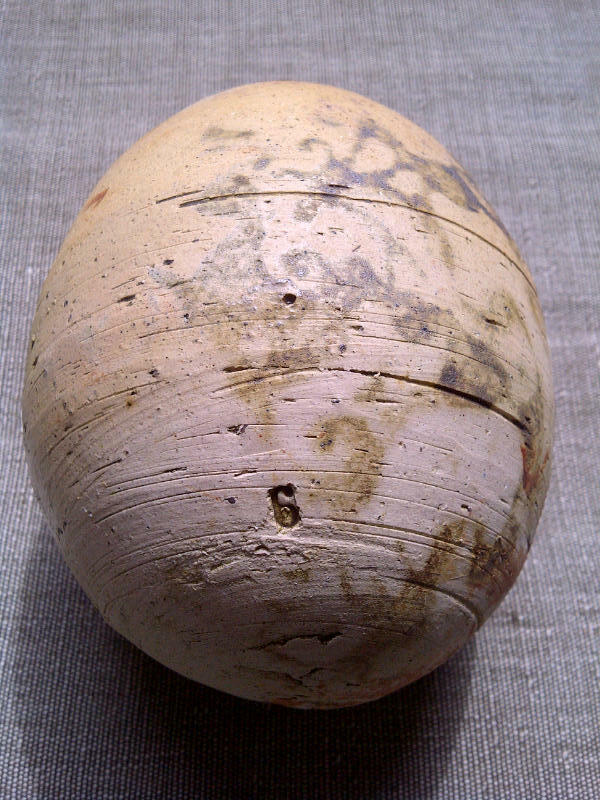 After climbing over stinking mud and debris we found the eggs, 6 small glazes eggs and one large one stamped No 6 but no London stamp like the others and agin this one rattled. With smiles on our faces we headed back but we decided we would return as this area has a beauty to it and it would be great to photograph and sketch. The tranquil backwaters were the home to countless herons and a fox that uses the sewer pipe to commute between the island and the shore to eat scraps thrown over board from the boats. Spot the egg, more eggs found at Brentford and some interesting finds under Kew Bridge..
After a day of meetings I took to the Thames for my daily walk but this time I headed upstream to Brentford and Isleworth to start another spot the egg session. 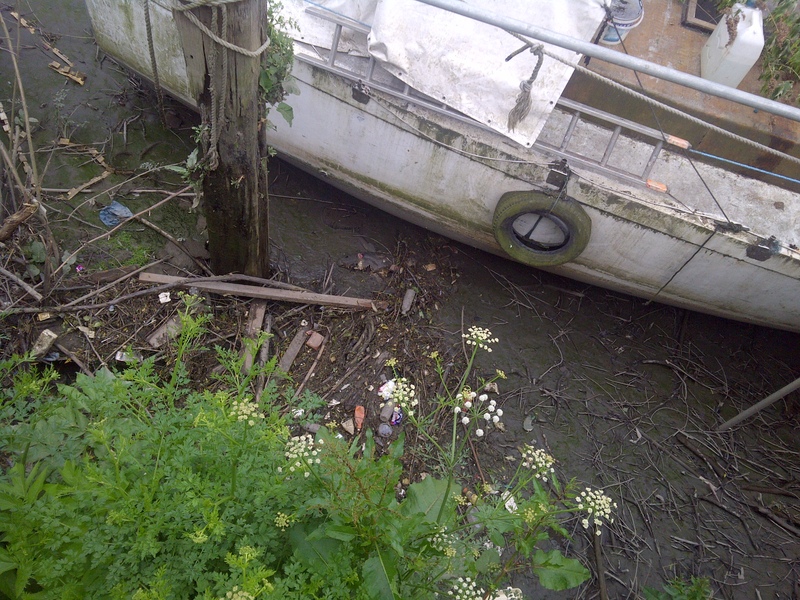 Tucked between the river bank and the side of a barge by the London Apprentice near Isleworth were two ceramic eggs that had been caught up with the usual river debris, No. 673 and 3228. Not satisfied with my haul I decided to check out the barges laid up near Kew Bridge but on the Brentford reach. 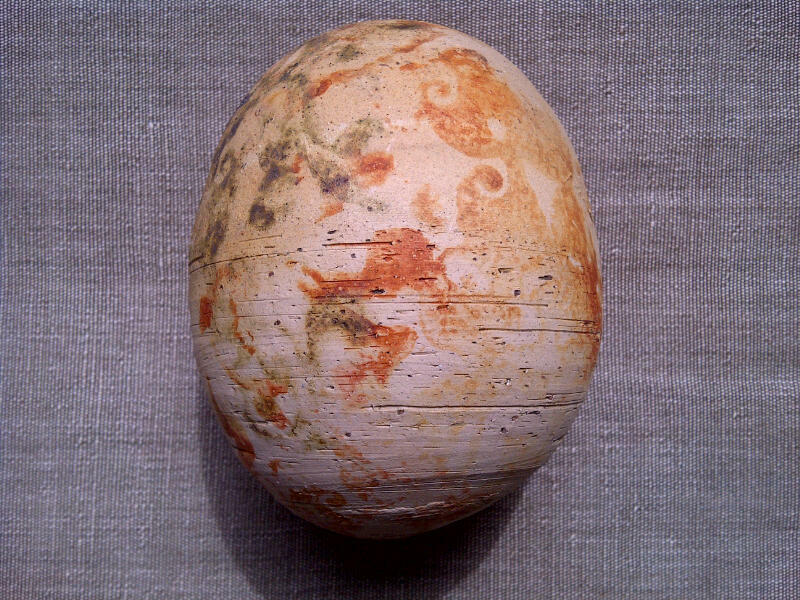 There I saw two large ceramic eggs and about a good half-dozen smaller eggs in a range of glazes. I also noticed a very large decomposing fish tucked under a hull of one of the moored boats. It is also interesting to note the range of boats used as homes. Across the bows of one boat I noticed an old fire boat. As I walked back along the silt covered foreshore I saw several herons fishing in the shallows and to my amazement I saw a young fox cross the river to an island opposite the moored boats and walk past several ducks nonchalantly. 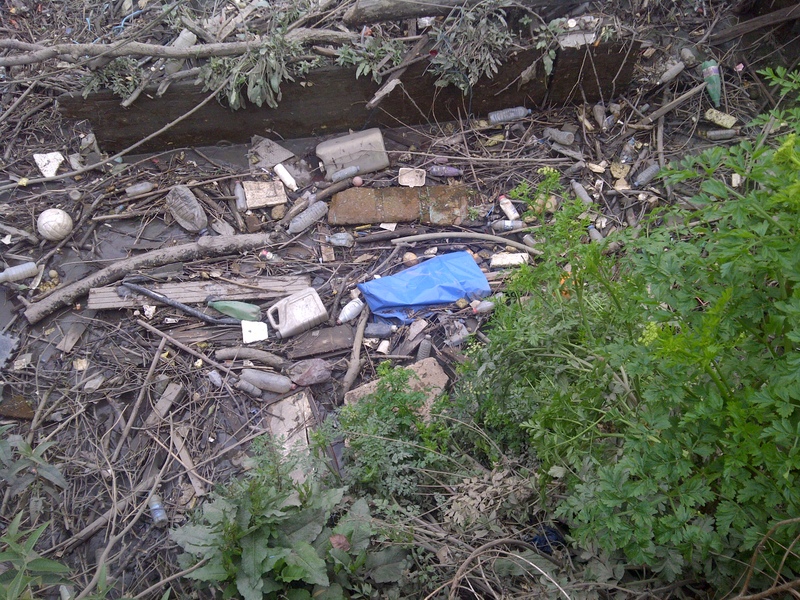 What was interesting to note was the figurines I found under Kew Bridge, photo, picture- fames and food offerings. 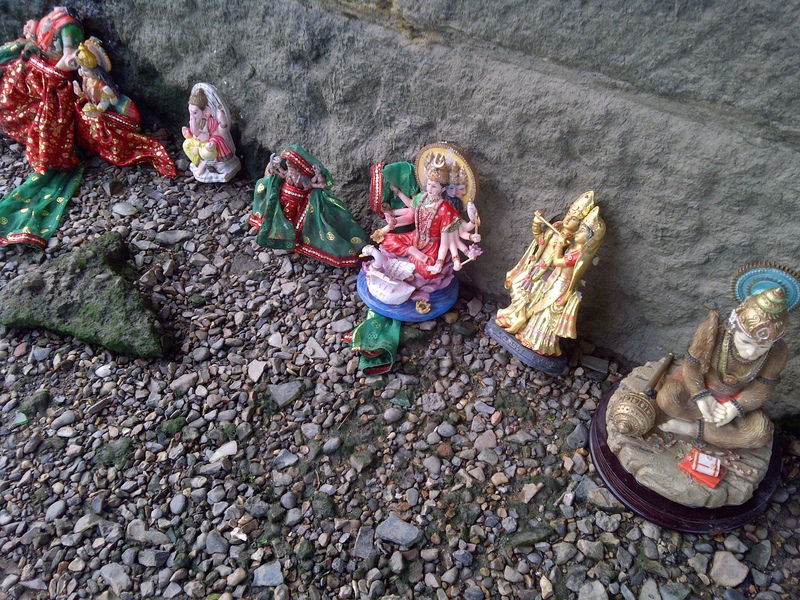 I have now found many Indian or rather Hindi figurines in the Thames, is this to note a new form of ritual.